Forex trading for beginners can be especially tough. This is mostly due to unrealistic expectations that are common among newcomers. What you need to know is that currency trading is by no means a get-rich-quick scheme. On this page, you will receive an introduction to the Forex market, how it works, and key terminology, along with the benefits of trading different currencies. We will cover how you can start trading (including choosing the best broker and trading software), the fundamentals of risk management, the different ways you can analyse the Forex market, and an overview of the most popular trading strategies. By the end of this guide, you will have the knowledge you need to start testing your trading skills with a free Demo account, before you move onto a live account. Forex, or the foreign exchange market (also called FX for short) is the marketplace where currencies are traded. At its simplest, a foreign exchange transaction might be, for example, when you transfer your local currency to a new one for an upcoming holiday. Across the market as a whole, an estimated 5.3 billion USD is traded every day between governments, banks, corporations, and speculators. Knowing how the industry is mapped out is important, because the collective combination of all participants creates the market you trade in. The relative weight of the trading party to the market is measured by how much money that party manages – from billion dollar hedge funds and investment banks, to private traders with a few thousand dollars in action. Currencies are traded as pairs, and the movement of currency pairs measure the value of one currency against another. For instance, the EURUSD currency pair measures the value of the Euro against the US dollar. When the value of the pair increases, this means the value of the Euro has increased against the value of the US dollar. When the value of the pair decreases, this means the value of the US dollar has increased (or the value of the Euro has fallen). By trading Forex and CFDs, traders can make a profit off of these currency movements. Which Forex Pairs Can You Trade? Forex currency pairs are known as majors, minors, and exotics. A major currency pair is one that contains any one of these currencies paired against the US dollar, such as the EUR/USD, USDJPY or the GBPUSD. Forex minors pairs made up of these major currencies that don't include the US dollar. These pairs include EURGBP, EURCHF, AUDNZD and so on. Finally, exotic currencies are any currencies that we haven't already mentioned, such as the Hong Kong Dollar (HKD), the Norwegian Krone (NOK), the South African Rand (ZAR) and the Thai Baht (THB). Exotic pairs include one exotic currency and one major currency. When learning about Forex trading, many beginners tend to focus on major currency pairs because of their daily volatility and tight spreads. But there are numerous other opportunities – from exotic FX pairs, to CFD trading opportunities on stocks, commodities, energy futures, to indices. There are even indices that track groups of indices, and you can trade them as well. How many markets you scan for opportunities is up to you, but do not limit yourself to just one instrument or one market. Market limitation can lead to overtrading, so make sure to diversify your investment. How Do Forex Quotes Work? When trading Forex, you'll see that both 'Bid' and 'Ask' prices are quoted. The bid price is the price at which you can buy the currency, while the ask price is the price at which you can sell it. If you are purchasing a currency in a trade, this is known as a long trade, and the hope is that the currency pair will increase in value, so that you can sell it at a higher price and make a profit on the difference. If you are selling a currency in a trade, the opposite is true - the hope is that the currency pair will fall in value, so that you can buy it back at a lower price, which means you will profit on the difference. The number quoted for these prices is based on the current exchange rate of the currencies in the pair, or how much of the second currency you would get in exchange for one unit of the first currency (for instance, if 1 EUR could be exchanged for 1.68 USD, the bid and ask price would be on either side of this number). Learn more about Forex quotes in this article: Understanding and Reading Forex Quotes. How Much Do Currency Values Change (Or, How Liquid Are Different Forex Pairs)? If the way traders make a profit is by cashing in on the difference between the bid and ask prices of currency pairs, the next logical question is, how much can you expect any given currency to move? This depends on how liquid the currency is, or how much of it is being bought and sold at any one time. The most liquid currency pairs are the ones with the most supply and demand in the Forex market, and this supply and demand is generated by banks, businesses, importers and exporters, and traders. Major currency pairs tend to be the most liquid, with the EUR/USD currency pair moving by 90-120 pips on an average day. By contrast, the AUD/NZD moves by 50-60 pips a day, and the USDHKD currency pair only moves by an average of 32 pips a day (when looking at the value of currency pairs, most will be listed with five decimal points. A 'Pip' is 0.0001. So, if the EUR/USD moved from 1.16667 to 1.16677, that would represent a 1 pip change). The major Forex pairs tend to be the most liquid, and therefore provide the most opportunities for short-term trading. However, there are many opportunities among minor and exotic currencies as well, particularly if you have some specialised knowledge about a certain currency. What is the Forex Spread? The spread, in Forex, is the difference between the bid and ask price of a currency pair. For example, if the Bid price of the EUR/USD is 1.16668, and the sell price is 1.16669, the spread will be 0.0001, or 1 pip. In any Forex trade, the value of a currency pair will need to cross the spread before it becomes profitable. To continue with the previous example, if a trader entered a long EUR/USD trade at 1.16668, the trade wouldn't become profitable until the value of the pair was higher than 1.16669. In a currency pair with a wider spread, such as the EURCZK, the currency will need to make a larger movement in order for the trade to become profitable. At the time of writing, the bid price for this pair is 25.4373, while the ask price is 25.4124, so the spread is 0.0200, or 20 pips. It's also not uncommon for this currency pair to have movements of less than 20 pips a day, meaning traders will likely need to perform a multi-day trade to make a profit. This means that low-spread trading is often a priority for Forex traders, as their trades can become profitable quicker, meaning that they can make a high volume of smaller trades, rather than relying on larger trades to make money. If you've been researching Forex trading, you might have seen the term 'Forex CFDs' at some point. There are two ways to trade Forex: using CFDs or spot Forex (also known as margin). Spot Forex involves buying and selling the actual currency. For example, you might purchase a certain amount of Pound Sterling for Euros, and then, once the value of the Pound increases, you may then exchange your Euros for Pounds again, receiving more money back compared with what you originally spent on the purchase. The term CFD stands for 'Contract For Difference', and it is a contract used to represent the movement in the prices of financial instruments. In terms of Forex, this means that rather than purchasing and selling large amounts of currency, you can profit on price movements without owning the asset itself. Along with Forex, CFDs are also available on shares, indices, bonds, commodities and cryptocurrencies. In every case, they allow you to trade on the price movements of these instruments without having to purchase them. How Does Leverage Work in Forex Trading? Along with being able to access a wide range of financial markets, another benefit of trading CFDs is that a trader can access a much larger portion of those markets, and increase their potential profits as a result. CFD contracts provide leveraged access to the market, meaning a trader can access a much larger portion of the market than what they would be able to purchase outright. To use Gold CFD as an example, at the time of writing, to purchase an ounce of Gold you would need to spend 1,200 USD. However, with a leverage rate of up to 1:20 (which means a trader could trade up to 20 times the value of what they deposit), a trader could trade on the full value of an ounce of gold (equivalent to 1,200 USD), for a deposit of just 60 USD. Similarly, if you wanted to purchase 3,000 USD with Euros, that would cost 2,570 EUR. With a leverage rate of 1:30, however, you could access 3,000 USD worth of the EUR/USD currency pair as a CFD with just 100 USD. The best part, however, is that the size of the potential profit a trader could make is the same as if they had invested in the asset outright. The risk here is that potential losses are magnified to the same extent as potential profits. Now that you know the basics of how Forex trading works, including currency pairs, CFDs and leverage, why not see how a trade might look in action? Admiral Markets has a free Forex calculator for traders, so you can calculate your potential earnings online, for free. Calculate your potential Forex earnings now. Pip: A pip is the base unit in the price of currency pairs, or 0.0001 of the quoted price. So when the bid price for the EUR/USD pair goes from 1.16667 to 1.16677, that represents a pip change of one. Spread: The spread is the difference between a currency pair's bid and ask price. For the most popular currency pairs, the spread is often low - sometimes even less than a pip! For pairs that aren't traded as frequently, the spread tends to be much higher. Before a Forex trade becomes profitable, the value of the currency pair must cross the spread. Margin: Margin is the money in a trader's account. However, because the average 'Retail Forex trader' lacks the margin required to trade a high enough volume to make a good profit, many Forex and CFD brokers offer their clients access to leverage. Leverage: Leverage is capital provided by a Forex broker to bolster their client's trading volume. For example, if you use a 1:10 rate of leverage and have $1,000 in your trading account, you can trade $10,000 worth of a currency pair. If the trade is successful, leverage will maximise your profits by a factor of 10. However, please note that leverage also multiplies your losses to the same degree, so it should be used with caution. If your account balance falls below $0, you may trigger a broker's negative balance protection settings (if trading with an ESMA regulated broker), which will result in the trade being closed. Fortunately, this means that your balance cannot move below $0, so you will not be in debt to the broker. Now that we've shared an overview of the Forex market, why might you want to trade Forex? There are a number of reasons why people choose to start day trading. Some of these reasons might include the potential to earn extra money on the side from the comfort of their own home, the opportunity to learn a new skill in their own time, or even the dream of achieving financial freedom, and having more control over their financial future. When it comes to Forex specifically though, there are a number of benefits that make this financial instrument a very enticing one to trade. If you would like to learn more about the differences between the Forex market and the Stocks market, why not check out our comparison article on the topic? And find out which market is right for you! Forex Vs. Stocks: Should You Trade Forex or Stocks? Forex is the world's largest financial market, with over 5.09 trillion USD traded every single day (April 2016). To put it in other words, in a single day, more money will be traded in the Forex markets than Japan's entire GDP! (Gross Domestic Product). Of these transactions, 254 billion USD is traded through CFDs and other derivative instruments. Being the largest, most active financial market on the globe, it is also the world's most liquid market, meaning it is easy for traders to enter into, as well as exit trades, and for the most liquid pairs, they can do so at a very low cost (even less than a single pip!). This also means that the Forex market is very volatile, creating many opportunities for traders to make a profit on both the positive and negative movements of currency pairs. Forex is the one financial market that never sleeps, meaning you can trade at all hours of the day (or night). Unlike the world's stock exchanges, which are located in physical trading rooms like the New York Stock Exchange or the London Stock Exchange, the Forex market is known as an 'Over-the-counter market' (or OTC). This means that the trades take place directly between the parties holding the currencies, rather than being managed via an exchange. Consequently, the Forex market has never been restricted to the business hours of any one exchange. However, since the Forex market is a global market, it means there is always a part of the world that is awake and conducting business, and during these hours their currencies tend to experience the most movement. For example, currency pairs involving the US dollar experience the most movement during US business hours (16:00 to 24:00 GMT), while the Euro, Pound, Swiss Franc and other European currencies experience the most movement during European business hours, (8:00 and 16:00 GMT). By contrast, the Australian Dollar, the New Zealand Dollar and the Japanese Yen tend to be more active between 00:00 and 08:00 GMT. As a trader, this means you can trade whenever it suits you - if you work during the day, there will be currencies available to trade before or after work. If you have children but are at home during the day, you can simply choose a different currency. In the Forex market, you can trade 24 hours a day, 5 days a week. One of the most common trading and investment philosophies is to 'buy low and sell high' - this is particularly the case with long-term investments, such as investing in stocks or bonds, which rely on the asset increasing in value. In the Forex market, you can also sell high and buy low. This way, you can potentially make profits on both downward and upward trends. As mentioned earlier, in a long trade (also known as a buy trade), a trader will open a trade at the bid price, and will aim to close the trade at a higher price, making a profit on the difference between the opening and closing value of the currency pair. So if the EUR/USD bid price is 1.16667, and the trade closes at the price of 1.17568, the difference is 0.00901, or 90.1 pips. (When trading a single lot, that would make a 901 USD profit). Traders can also make short trades (also known as sell trades), where they sell a Forex CFD at the ask price and, once the price drops, buy it at a lower bid price, and profit on the difference. In this case, if the GBP/USD ask price was 1.32265, and the trade closed at the price of 1.31203, the difference would be 0.01062, or 106.2 pips (which would amount to 1,062 USD in profit). Due to Forex CFDs being leveraged, traders can access large portions of the currency market at a very low margin - sometimes as low as 1/500th of the size of the market they want to access (based on a leverage rate of 1:500). There are few additional costs as well - most Forex trading accounts have little (or no) commissions, order fees, and account management fees. If there are any trading fees, these are usually a markup the broker has added to the spread. One of the greatest advantages of Forex trading is that it is one of the most developed financial markets in terms of technology. While many markets are accessible via old-fashioned trading platforms, there is constant competition in terms of the software available for trading the FX market. The platforms offered by Admiral Markets include MetaTrader 4 (MT4) and MetaTrader 5 (MT5) and MetaTrader WebTrader. MT4 and MT5 are both available for Windows, Mac, Android and iOS devices (for iPhone and iPad). In addition, Admiral Markets also provides traders with an enhanced version of MetaTrader, known as MetaTrader Supreme Edition. With access to all this software, Forex can be traded from anywhere in the world - and all you need is an internet connection. In fact, you can start trading in a risk-free environment now with a free demo account. How Can You Start Trading Forex? If you're still reading, your next question is probably, "How can I become a successful Forex trader?" This is the main focus of the rest of this article - we'll outline not only how you can start trading, but also some of the most popular trading strategies for making a profit on the Forex market, which exercise risk management. The first step, of course, is getting set up to trade, which starts with finding the right Forex broker. 1. Is the broker regulated? It might surprise you to learn that the Forex market doesn't have a central regulator. However, that doesn't mean you should choose a broker without considering the question of regulation. Instead, we recommend choosing a broker that is regulated by the financial regulator in your area. This would be the FCA (Financial Conduct Authority) in the UK, CySEC (Cyprus Securities and Exchange Commission) in Cyprus, ASIC (Australian Securities and Investments Commission) in Australia or SEC (Securities and Exchange Commission) in the US. A good broker will usually be proud of their licensing and will use this as a selling point. The benefit of choosing a regulated broker is that this will ensure that you, as a trader, are protected to the full extent of the law in your country. For instance, in 2018 the European Securities and Markets Authority (ESMA) introduced a range of legislation protecting retail trading clients, which all European Forex brokers must abide by. This legislation includes limits on available leverage, volatility protection, negative balance protection and more. It's also important to consider the security of your funds. With this in mind, we recommend choosing a broker that segregates their clients' funds from their own, which ensures that the broker cannot use your deposits for any of their own financial activities. It also ensures that your funds will be available for withdrawal upon your request. Finally, check whether the broker offers a financial services compensation scheme. This defines the amounts of funds that will be compensated to you in the extreme case that your broker or its bank is going bankrupt. 2. What is the quality of the broker's trading service? The service of the broker you choose, and the platform they offer, is essential in ensuring that you achieve the best trading results. If you were trading on a system that was slow and regularly crashed, for example, you might not be able to enter or exit a trade at the price you want. Instead, it's important to look for a broker that offers high levels of liquidity, low spreads and the ability to execute orders at the price you want (or as close to this as possible). Another element of the service provided is the margin requirements and level of leverage available. While there is no need to choose the highest level of available leverage when you start trading Forex, simply knowing that a broker offers the highest level of leverage approved by their regulator means that, as your experience grows, you can start to increase your leverage according to your preferences. 3. What is the cost of trading? As Forex trading can be an income-generating activity, it's important to treat your trading as a business activity - one where you consider both how to maximise your income, how to minimise your costs, and how to minimise the risks. With this in mind, make sure to consider the costs of trading with any Forex broker, before you ultimately select one. The size of their spreads: We've already discussed how the size of the spread influences your potential trading profits, as any currency pair needs to cross the spread before a trade will become profitable. With this in mind, look for a broker that offers low spreads. Commissions: Ideally you should choose a Forex broker that doesn't charge commissions, as commissions will cut into your potential profits. The minimum deposit: Many Forex brokers will ask traders to make a minimum deposit when opening a live trading account, so it is best to find one with the lowest amount of requirements. Admiral Markets offers a minimum deposit of €200. While searching for the cheapest Forex broker, it really comes down to a combination of spreads, execution quality, commission, and the minimum deposit. These should be the last points you consider when opening a long-term trading account. The best Forex broker for beginners depends on elements like the trading system, the quote feed, instrument portfolios, execution models, and the leverage offered. 4. What products and markets do they offer? When choosing a Forex broker, obviously you will want to make sure they have access to a wide range of currency pairs, including majors, minors and exotics. But what about other financial instruments? If you are considering trading with a Forex and CFD broker, it's a good idea to look into the other instruments they offer as well. This will ensure that if you decide to trade stocks, indices, ETFs, commodities, cryptocurrencies and other instruments in the future, you won't need to find a new broker to do so. Admiral Markets, for example, provides traders with access to over 7,500 financial instruments, allowing you to create a diversified trading and investment strategy from a single platform. 5. Which trading tools do they have available? The quality of the trading tools a Forex broker offers can make a big difference to your trading experience. In most cases, the available tools will depend on the trading platform (or platforms) being used. For instance, Admiral Markets offers trading through the state of the art MetaTrader 4 & 5 Supreme Edition plugin, which include a range of custom tools and add-ons to improve your trading experience. 6. Does the broker's offering suit your trading style? It's important to consider whether a Forex broker and their trading platform will suit your trading style. For example, you might be interested in following a Forex scalping strategy, which involves making a high volume of small profits on small currency movements. In this case, you would need to ensure that any potential broker has minimum distance between the market price and your stop-loss and take-profit. Or, if you are new to Forex trading, you might not be comfortable using the maximum leverage the broker offers. 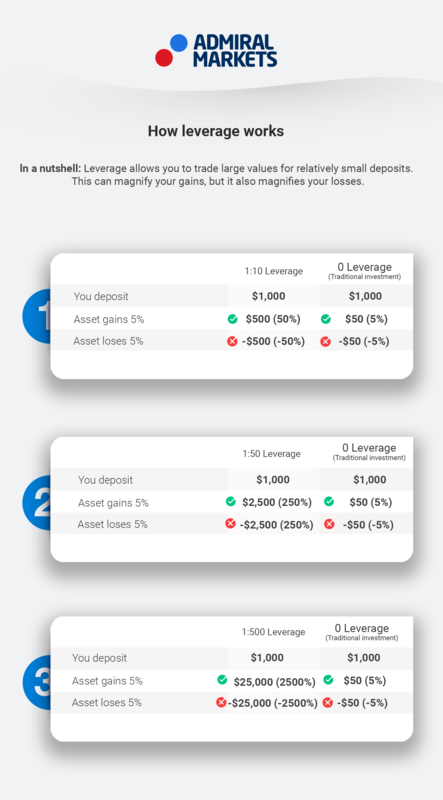 With this in mind, check whether the broker allows nominal leverage - where you can choose the amount of leverage you use in your trading, anywhere up to the maximum limit. 7. Do they offer education and support? Finally, consider whether the Forex broker offers education and support. Ongoing education is essential to a Forex trader's development and achieving the best results. This is why Admiral Markets offers a range of free articles and tutorials, webinars and online courses, including Forex 101 and Zero to Hero. In addition to educational content and materials, it's also important to consider the availability of support, so you can get your questions answered, and any potential issues dealt with. In particular, you should look for a Forex broker that has a major presence in your country or, at a minimum, offers phone and email support in your language. A broker with an efficient customer enquiry and complaints procedure will ensure that if an enquiry is filed by a Forex trader and cannot be resolved within a few hours, it is immediately forwarded to the customer support desk or compliance department. If you would like to explore this topic in more detail, why not check out our in-depth guide to choosing the right Forex and CFD broker? Alongside choosing a broker, you will also be researching the Forex trading software and platforms they offer. The trading platform is the central element of your trading, and your main working tool. It is an essential piece of the puzzle, as the best Forex tools can have a significant impact on your trading results. So, what should you be looking for when considering your options? Reliability: Is the trading platform reliable enough for you to achieve the trading results you want? 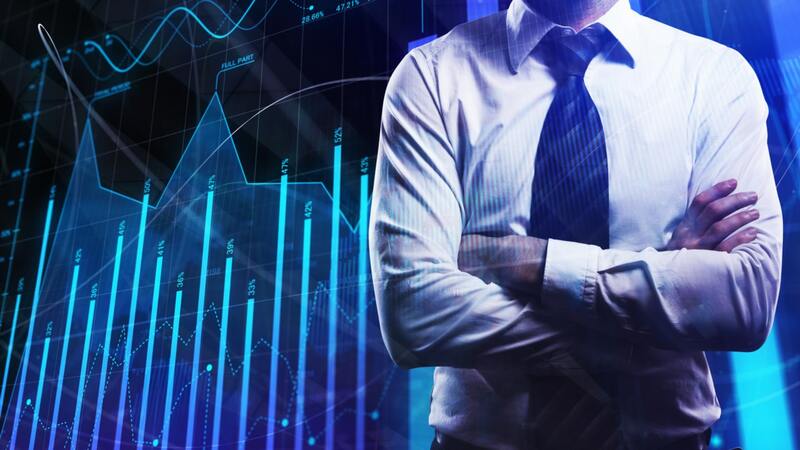 Being able to rely on the accuracy of prices quoted, the speed of data being transferred, and fast order execution is essential to being able to trade Forex successfully, particularly if you plan to use very short-term strategies like scalping. The information must be available in real time, and the platform must be available at all times when the Forex market is open. This ensures that you can take advantage of any opportunities that may present themselves. Security: Will your funds and personal information be protected? A reputable Forex broker, and a good Forex trading platform will have measures in place to ensure the security of your information, along with the ability to backup all key account information. They will also segregate your funds from their own funds. If a broker cannot demonstrate the measures they will take to protect you and your account balance, it would be best to find another broker. Independent account management: Any Forex trading platform should allow you to manage your trades and your account independently, without having to ask your broker to take action on your behalf. This ensures that you can take action as soon as the market moves, capitalise on opportunities as they arise, and monitor any open positions. Analysis: Does the platform provide in-built analysis?, or offer the tools for you to conduct technical and fundamental analysis independently? Many Forex traders make trades based on technical indicators, and can trade far more effectively if they can access this information within the trading platform, rather than having to leave the platform to find it. This should include charts that are updated in real time, and access to up-to-date market data and news. Automated trading functionality: One of the benefits of Forex trading is the ability to open a position and set automatic stop loss and take profit levels, at which the trade will close. More sophisticated platforms should have the functionality to carry out trading strategies on your behalf, once you have defined the parameters for these strategies. A good trading platform will allow this level of flexibility, rather than requiring a trader to constantly be monitoring any trades. At Admiral Markets, our platforms of choice are MetaTrader 4 and MetaTrader 5, which are the world's most user-friendly multi-asset trading platforms. Both platforms are accessible across a range of devices including - PCs, Macs, iOS and Android devices and web browsers via the MetaTrader Webtrader platform for MT4 and MT5. These are fast and responsive platforms, providing real time trading data. Additionally, these platforms offer automated trading options and advanced charting capabilities, and are highly secure. Should you buy Forex trading software? While Forex trading for beginners or professionals will always require software, the level of competition between brokers means that most Forex trading software is available for free. Many Forex trading beginners are also tempted to purchase FX robots, also known as Expert Advisers (EAs). While some EAs can be helpful, it can be hard for them to remain profitable when the market changes. Unless you understand the code it's written in, you're probably not going to be able to adapt your EA to work with those changes. If you are one of the many traders who believe that an EA would outperform the market, then perhaps you should give it a try with the MetaTrader Supreme Edition plugin. And perhaps best of all, we offer EAs free of charge for traders! How Can You Start Trading Forex? Open a Free Demo Account! If you are keen to start trading, a risk-free way to learn the fundamentals and test out new skills is by opening a Forex demo account. A demo trading account gives you the opportunity to trade on Admiral Markets' 7,500+ trading instruments, including our 40 CFDs on Forex currency pairs, in real market conditions, without spending any of your money. Simply put, you will have access to virtual funds that you can use to make trades in a demo environment, making this the perfect way to put your knowledge to the test. Before you make your first trade, it's important to consider how to effectively manage your risk in the Forex market. As we've already discussed, trading Forex CFDs gives you the opportunity to trade using leverage, meaning you can use a relatively small deposit to access a larger portion of the market (up to 500 times the value of your account balance, if you're a Professional client). This then multiplies your potential profits to the same extent. However, it also multiplies your potential losses. To use an extreme example, imagine holding an account balance of 2,000 EUR and putting all of that on a single trade. If the trade goes badly, you will have lost your entire investment, and because the Forex market can move very quickly, losses can also happen very quickly. This is where risk management is essential - to help you minimise losses and protect any profits you do make. The key areas to consider when managing your Forex trading risk are trading psychology, and money management. While it might sound strange to discuss the topics of mindset and psychology in a guide to Forex trading, the truth is that these are some of the most important factors separating successful traders from unsuccessful traders. Developing trading discipline and the ability to manage your emotions will help you remain cool under pressure, entre trades at the right time, and to know when to exit those trades - whether you are cutting your losses, or taking your profits before the market turns. Stay calm: As exciting as trading can be, it is still stressful work. There will be a lot of setbacks on your way to the top. Emotions can force your hand to open a trade too early and/or close it too late. The main cause of stress for beginners in trading is the fact that some Forex trades will end in loss no matter what – it's just the way the market is. Just remember that war is not won with a single battle. Rather, it is overall performance that counts. Understand your risk tolerance: Every person has a different level of risk tolerance, and this will influence the size of the chances they take, the losses they are willing to experience, and the psychological effect of them. To manage your stress levels while trading, it's important to consider your level of risk tolerance in advance, and choose trading strategies that support this. For instance, someone with a low risk tolerance would be more comfortable making lots of small trades over time and letting the small profits from each trade add up. By contrast, someone with a higher tolerance for risk would be more willing to make larger trades, with the opportunities for larger gains (but larger losses as well). Set realistic trading goals: It's important to be realistic with your trading expectations, as this will help you assess the best times to open and close trades. Many new Forex traders have very high expectations about their potential profits, and this causes them to trade very aggressively, with large sums of money and fast decisions. Again, start small to test your knowledge and skills, and as you start to reliably achieve the results you want, you can set bigger goals. Set your limits in advance: Before embarking on any Forex trade, you should have defined the price at which you'll open the trade, the price at which you will close it and take your profits, and the price at which you will close it, should the market turn unexpectedly, thereby cutting your losses. Then, once you have set those limits, it's important to stick with them! Many new traders choose not to close a trade because the market is still moving in the direction they want it to, only to then lose all of their gains when the direction suddenly changes. If your trade hits your predetermined target, close it and enjoy your winnings. If the market moves in the opposite direction, close the trade or set a stop loss so it will close automatically. Prepare for the worst: While this might sound pessimistic, in Forex trading it is better to prepare for the worst than expect the best. There have been many times in history when financial markets and individual trading instruments have experienced sudden spikes or drops in value. By considering the worst possible outcome of a trade, you can take measures to protect yourself, should this happen, such as by setting a stop loss in advance. Managing your money in Forex trading comes down to the specific measures you use to increase your profits, whilst also minimising potential losses. Successful Forex trading has far more to do with effective money management than having a handful of good trades, and is one of the secrets that separates those who successfully trade FX over the long term, from those who give up after a couple of trades. Decide how you will finance your trading in advance: Only one kind of money is good for investing, and that's the kind that you are willing to lose, and preferably without damaging your physical and/or mental wellbeing in the process. Every profitable trader is profitable in their own way, while every loser experiences losses exactly the same way. Remember, use every available opportunity to learn. It's a never-ending process! Define your investment level: One of the most common questions about trading Forex is 'how much do I need to start trading?' For beginner traders, it's a good idea to start small and work your way up. Fortunately, many Forex brokers have reasonable minimum deposit levels for opening an account. At Admiral Markets for example, the minimum deposit amount is $200. 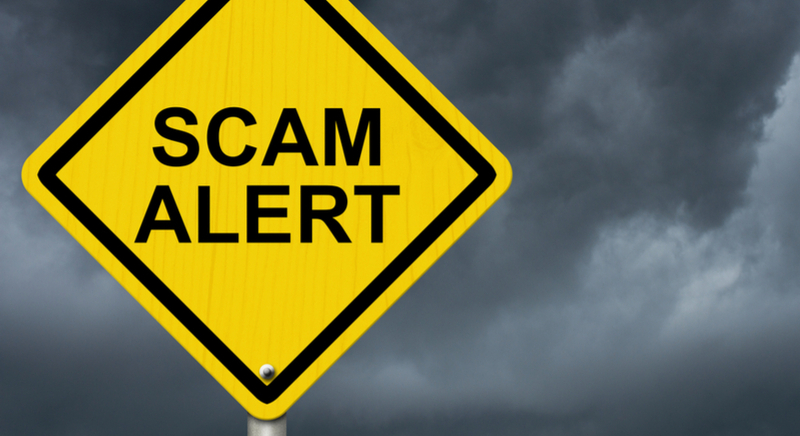 Be wary of any brokers offering bonuses for certain deposit levels, as these might be scams, where it is very difficult to withdraw your money in the future. Calculate your risk: Make sure to calculate your risk before you trade. If the potential profits of a trade are smaller than the potential risks, the trade probably isn't a good decision. You can assess your risk with our free Forex calculator. Determine the profits required to cover any losses: Along with calculating your risks before any trade, it's also worth calculating how much you would need to make to regain those funds in any future trade. It's often harder to earn money back than it is to lose it, simply because your remaining investment pool is smaller, which means you have to make a larger profit (percentage wise) to break even. For example, if you invested 5,000 EUR and lost 1,000 EUR, you will have lost 20% of your balance, leaving you with a final balance of 4,000 EUR. To bring your balance back to 5,000 EUR, you will need to make a profit of 1,000 EUR. However, with a starting balance of 4,000 EUR (after the previous loss), there is now a 25% gain, rather than a 20% one. Start with small trades: To help you manage your risk and preserve your capital, start by trading small sums of money, rather than taking big risks with a large portion of your account balance. For instance, in the previous example, if you put your entire 2,000 EUR account balance on a single trade, it would be easy to lose it all. By contrast, if you just traded 20 EUR, a loss would not significantly affect your account balance. It would provide you with the opportunity to learn from your experience and plan your next trade more effectively. With this in mind, limiting the capital you are prepared to risk to 5% of your account balance (or lower) will put you in a better position to continue trading Forex (and improving your technique) over the long term. Diversify your portfolio: We all know the saying, 'don't put all your eggs in one basket', yet many new FX traders do this when it comes to their trading. Just as it isn't wise to put all of your funds into a single trade, relying on a single currency pair increases your level of risk, because if the pair moves in a different direction to what you expect, you could lose everything. Instead, consider opening a number of small trades across different Forex pairs. You could even consider trading other CFD instruments as well, such as shares, indices, commodities, cryptocurrencies and more, as these will further diversify your trading portfolio. Use leverage wisely: As we've already mentioned, Forex CFDs allow you to trade on a margin, or by using leverage. However, just because 1:30 (or 1:500) leverage is available, it doesn't mean that you need to use it. At Admiral Markets, while there is a maximum amount of leverage available to our clients, they are still able to choose the amount of leverage they use when they are trading, which may be anything up to that amount. For instance, after assessing your risk, you might decide that the potential costs of trading with a 1:30 level of leverage are too great, and you are more comfortable with 1:5. Choosing a lower nominal leverage will help you to manage your risk effectively, especially if you are new to Forex trading. Focus on the long term: The initial stages of your trading should be about preserving your capital – not trying to grow it. Minimising risk is the primary objective. One way to possibly achieve this is by utilising a long-term trading stance. What casual Forex trading beginners often fail to realise is that the most successful traders try to make a return on their investment based on long-term trends. They often hold their orders open for weeks, months and even years at a time. This way, Forex works as an investment rather than a lottery. Use a stop loss: A stop loss is tool that traders use to limit their potential losses. Simply put, it is the price level at which you will close a trade that isn't moving in your favour, thereby preventing any further losses as the market continues to move in that direction. You can also use a stop loss to conserve any profits you might have already made - the tool to achieve this is known as a 'trailing' stop loss, which follows the direction of the market. For instance, if you opened a long trade on the GBP/USD currency pair, and the pair increased in value, the price limit at which the trade should close (the stop loss) would climb alongside the price of the currency pair. If the value of the GBP/USD then started to fall, the trade would be closed as soon as it hit your stop loss, preserving any profits you had made beforehand. Continue your Forex education: The markets are constantly changing, with new trading ideas and strategies being published regularly. To ensure you continue to develop your trading skills, it's important to stay on top of your trading education by regularly reviewing market analysis and by learning new trading strategies. For more trading education, take a look at our Forex and CFD webinars, which are designed to grow your knowledge as you start and continue to trade. While some new Forex traders might experience beginner's luck, and open a trade on the right currency pair in the right direction, this luck rarely lasts. For long-term trading success, a trader needs to be able to make informed trading decisions, and these decisions are a result of analysing the market. Analysis is absolutely vital to trading. Charts are helpful for both short and long-term trading. You should be looking at daily, weekly, and monthly charts. Fortunately, there are a number of different approaches to Forex analysis, which means every trader can find the right approach for them. The three broad categories of Forex analysis are fundamental analysis, technical analysis and wave analysis. 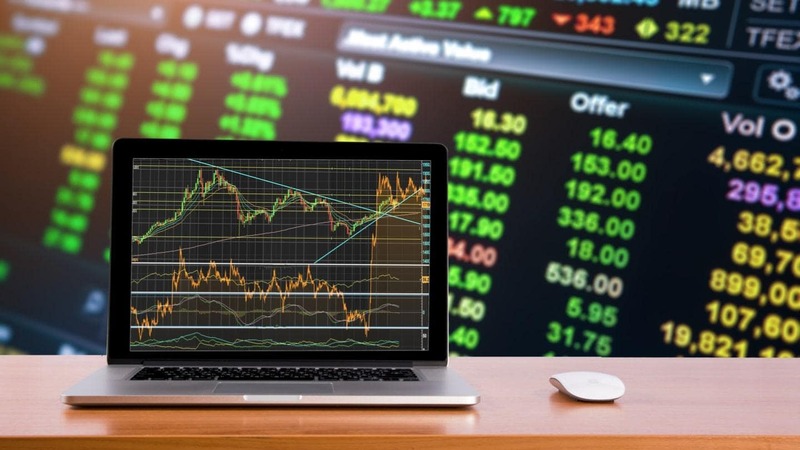 This form of analysis involves look keeping track of real-world events that might influence the values of the financial instruments you want to trade. For instance, the value of the Australian Dollar might fluctuate following a Reserve Bank of Australia interest rate announcement, which will then affect the movements of all currency pairs including the AUD. The challenge is assessing which outcome is the most likely, and then opening a trade accordingly. A good starting point for this trading approach is first being aware of upcoming events that may affect the Forex market (refer to our live Forex calendar for the latest events) and second, looking at the effect similar announcements had on different currency pairs in the past. You can learn more about fundamental analysis in our Introduction to Fundamental Analysis article. 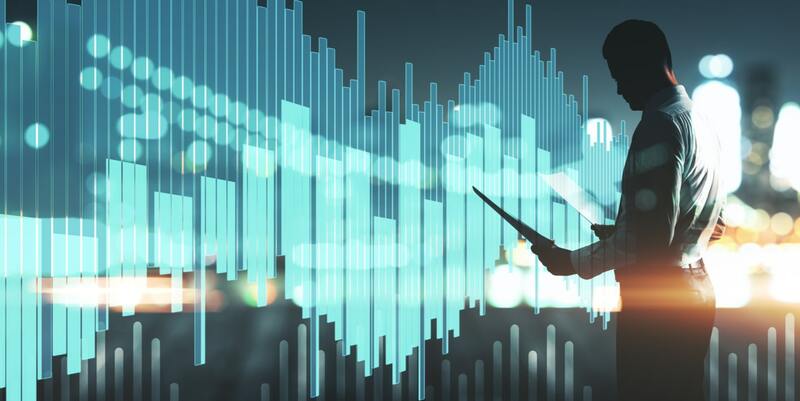 While fundamental analysis focuses on what is happening in the real world, including economic, political, and business news and events, technical analysis largely focuses on what is happening in trading charts. Trading charts simply chronicle the price movements of different trading instruments over time, which allows traders to identify patterns in price movements and make trading decisions based on the assumption that these patterns will repeat in the future. For example, one trading chart format is the Japanese candlestick chart, which is formatted to emphasise high and low price points for certain time increments (these increments can be set by the trader in their trading platform). This information can then allow traders to make judgements regarding a currency pair's price movement. For example, if a Japanese candlestick closes near the highest price for the period, that would imply that there is a strong interest on the part of buyers for this currency pair during that time period. A trader might then decide to open a long trade to take advantage of that interest. Once a pattern emerges, this is known as a Forex indicator because it indicates that there is the potential to make a profitable trade. 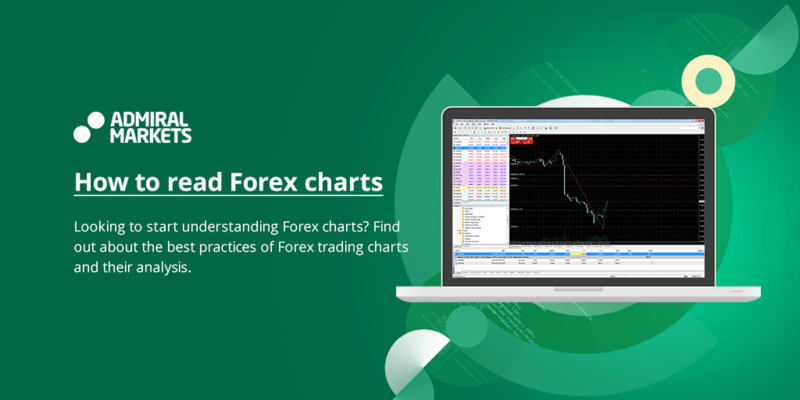 While there are a range of resources available online for learning about the best Forex indicators, your trading software should ideally have a range of built-in indicators that you can use for your trading, as is the case with MetaTrader 5's indicators. You can learn more about technical analysis in our Introduction to Technical Analysis article. Wave analysis, also known as Elliott Wave analysis, is a well-known method that analyses the price chart for patterns and the direction (trend) of a financial instrument. The method is based on historical movements in market prices, with the belief that history repeats itself. The reason for this is due to market sentiment, meaning that the market as a whole moves as a herd, and reacts in a similar way to similar events and announcements. In the Forex market, these reactions involve buying and selling currencies, which causes the prices of different currency pairs to fluctuate. The theory follows sequences of five waves, or five up and down price movements which are then countered by a corrective 3 wave pattern in the opposite direction. The 5 impulsive waves are with the trend, whereas the 3 corrective waves are counter trend. In an 'up' move, there will be three up waves (movements 1, 3 and 5) and two down waves (movements 2 and 4). In a corrective down move, there will be 2 waves down (A and C) and 1 wave up (B). In a down move, the instrument will make 3 waves down which are separated by 2 waves up. The corrective up wave will have 2 waves up and 1 wave down. Following this, the instrument will make a 'down' move, with three down waves being separated by two up waves. Determine how you will generate the Elliott Wave count, keeping in mind that the approach must be consistent for all 'up' and 'down' movements. Wait for a wave to begin. In many cases it is wise to wait until the end of the third or the beginning of the fourth movement in the wave, to ensure that the instrument is following the Elliott Wave price pattern. Use a secondary indicator (or indicators) to confirm the trend. Once you have taken these steps, you can enter into a trade with more confidence. If you would like to learn more about wave analysis, please read our Introduction to Forex Elliott Wave Analysis article. Forex scalping: Scalping is a trading strategy that involves buying and selling currency pairs in very short increments - usually anywhere between a few seconds and a few hours. This is a very hands-on strategy that involves making a large number of small profits until those profits add up. Intraday trading: Forex intraday trading is a more conservative approach than scalping, with trades focusing on daily price trends. Trades may be open anywhere between one to four days, but usually focus on the major sessions for each Forex market. Swing trading: Swing trading is a medium-term trading approach that focuses on larger price movements than scalping or intraday trading. This means that traders can set up a trade and check in on it within a few hours, or a few days, rather than having to constantly sit in front of their trading platform, making it a good option for people trading alongside a day job. Forex hedging: Hedging is a risk management technique where a trader can offset potential losses by taking opposite positions in the market. In Forex, this can be done by taking two opposite positions on the same currency pair (e.g. by opening a long trade and a short trade on the GBP/USD currency pair), or by taking opposite positions on two correlated currencies. The Forex martingale strategy: The martingale strategy is a trading strategy whereby, for every losing trade, you double the investment made in future trades in order to recover your losses, as soon as you make a successful trade. For instance, if you invest 1 EUR on your first trade and lose, on the next trade you would invest 2 EUR, then 4 EUR , then 8 EUR and so on. Please note that this strategy is extremely risky by nature and not suitable for beginners! The Forex grid strategy: The grid strategy is one that uses buy stop orders and sell stop orders to profit on natural market movements. These orders are usually placed at 10 pip intervals and, by having these stop orders put in place, a trader can then automate this trading strategy. If you want to know how to learn Forex trading as a beginner, simply read as much as you possibly can, and always analyse what you read – don't just take information in good faith. Every broker offers a demo account – whether you are a beginner or not, test every new strategy there first. Keep going until the results are conclusive and you are confident in what you are testing. Only then should you open a live account and use your strategy in the smallest volume trades available. Be sure to treat your demo account trades as if they were real trades. You may also use Forex simulation software to simulate market conditions, and create an impression of a live trading session. Don't overload your charts with indicators, or your strategy with handles or switches. The more complicated your trading strategy is, the harder it will be to follow, and the less likely it is to be effective. To find out how well a strategy performs on average in different markets, you need to carry out the necessary backtesting and research. Keeping it simple can be a real challenge, especially considering the multitude of supporting tools you can apply to your charts. Just remember – it's not about the amount of tools at your disposal, but it is about being able to use a few tools in an effective way. Volatility is what keeps your trading activity moving. However, if you're not careful it can also completely destroy it. When volatile, the market moves sideways, which makes spreads grow and your orders slip. As a beginner Forex trader, you need to accept that once you are in the market, anything can potentially happen, and it can completely negate your strategy. For example, the crisis with the Swiss Franc in January 2015 ended business for many traders and brokers within hours of its occurrence. Admiral Markets have helped to minimise volatility risk for you by offering a package of advanced volatility trading settings to help you avoid the reefs of the financial markets. Whether you are a beginner trader or a pro, it is best to trade with what you see and not what you think. For example, you might think that the US dollar is overvalued and has been overvalued for too long. Naturally, you will want to short and you might be right eventually. But if the price is moving up, it does not matter what you think. In fact, it doesn't matter what anybody thinks – the price is moving up and you should be trading with the trend. A regular Forex trading beginner concentrates on opening a trade, but the exit point is equally important. If your trading strategy does not consider the mechanism of closing a deal, it's not going to end well, and you're much more likely to suffer heavy losses. A novice Forex trader must develop the mindset of a business owner. Every business requires a business plan, constant monitoring, and regular auditing. Jumping ahead without plans and processes is a sure-fire way to fail. Starting a trading journal is an absolute must. Keep your journal handy as a point of reference when analysing your activity. A journal ensures none of your actions are in vain. Analysis of good trades will boost your trading confidence and motivate you to push harder and go further. On the other hand, analysis of bad trades will help you to extract value and improve.